Overlooking the Pacific and Catalina Island, the festival was held on Sunday with temperatures in high 70’s and a light breeze. Wow, what a great start. 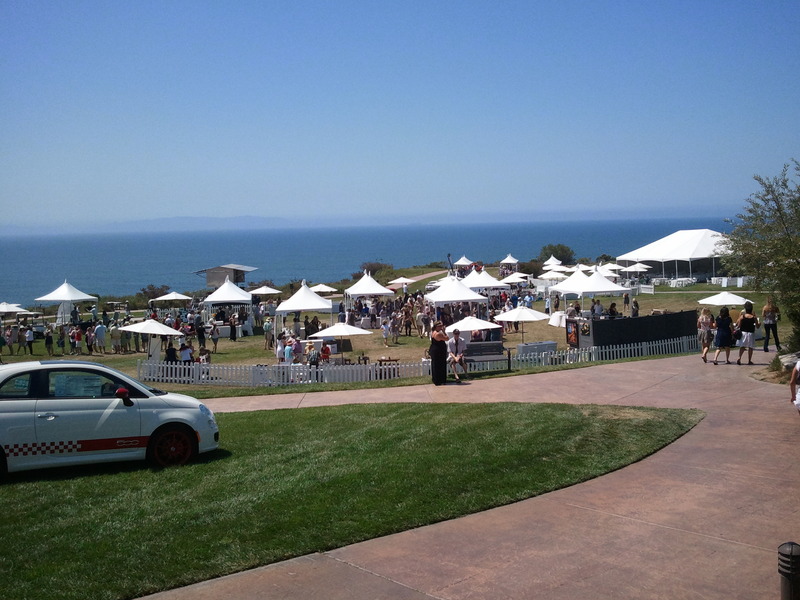 Headed directly to the tent pouring Taittinger, Schramsberg and Cakebread to start the tasting. Good thing as they were out of samples within 1 hour of opening. As for the beer festival portion, enjoyed the Belgium Leffe beer the most. Only negative to the festival was the lack of drinking water. Come on – you gotta provide water in an event like this!!!! 35 wineries participated in this years event. Unique to this event was the use of Second Glass – a smart phone application that allows you to rate wines and keep tasting notes. Once you’ve signed up, your notes will be there forever! I was surprised to see Ridge pouring at this event. It looks as though they are adding Rhone varietals to there offerings – but currently only for wine club members. They were pouring a Syrah, Petite Syrah and Carignane. Syrah was from the Lytton Estate and looks like it will become a big hit in a few years. Cypher wines was pouring the new 2010 Chardonnay- fantastic! In case you didn’t know, the team behind 4-vines is building this winery and they are focused on the art of high-end winemaking. Favorite wine of the event – 2010 Curtis Winery Heritage Blanc. Viognier 60% Roussanne 40%. Retails for $20 – a bargain.